As an insurance broking company specializing in medical insurance, Abacare believes that every one of us deserves to receive better health services without experiencing financial hardship. “Universal Health means that all people have access, without any kind of discrimination, to comprehensive quality services, wherever they need them, without facing financial difficulties. It requires the definition and implementation of policies and actions with a multisectoral approach to address the social determinants of health and promote the commitment of the whole society with health and well-being. Access to quality health care services can maintain health, prevent diseases, reduce the risk of disability and premature death. WHO (World Health Org) emphasizes that access to health care services promotes healthier people; while reducing financial loss. Two of the leading countries within Asia, in terms of health care services, are Singapore and Hong Kong. Singapore is known as the medical center of excellence in Southeast Asia. WHO health report, Singapore is in the top 6 as a country with a high standard of quality healthcare. This is based on health system attainment and performance in all ASEAN countries. Citizens are required to have an approved basic health insurance plan that comes from the individual contribution to the national social security savings. Hong Kong is also acknowledged for offering an excellent level of care. They have world-class medical equipment and integrated clinics. Hong Kong’s healthcare system has two options: public healthcare and private medical care. If a person chooses to opt for the public healthcare optional, the government provides access to healthcare services free of charge or for a nominal fee and potentially longer waiting periods to seek medical advice. However, if one chooses to utilize the private system, it can provide immediate access to doctors and the best medical facilities available. In Asia, countries aim to continue to provide better and improved healthcare services. Their goal is to improve the effectiveness, efficiency, access, and quality of their healthcare systems. Health is a state of being or a complete physical, mental and social well-being, free of illness. Giving importance to one’s health can give a person many benefits. When a person maintains good health, he can do things more efficiently. Consider health as an investment, when one is healthy, he contributes not only for himself but to others too. It’s an important addition to economic progress, as healthy populations live longer, are more productive, and can save more. Millions of people these days are struggling to pay health care related costs. The more innovation sets in, the more costly the health care industry is. This is the number one reason why people fall into bankruptcy. Almost 4 out 5 people around the world stop medication due to financial reasons. An average person in Asia spends at least 10 to 15% of his income per month on healthcare alone. The reality is global healthcare cost will continue to rise despite the government’s efforts to reduce it. Therefore, it is best to protect yourself by investing in good health and insuring it. protects you from unexpected, high medical costs. protects your loved ones from financial burden to cover costs incurred. covers ambulance expenses, medicines costs, hospital room costs, etc. Doctor fees, medical tests, pre and post hospitalization charges can be covered. hospital bill can be guaranteed by the insurance provider thus there’s no need to pay in cash. use a network provider, you can pay less for medical services. you can receive timely medical care. gives you peace of mind and security against unforeseen medical expenses due to sickness and emergencies. 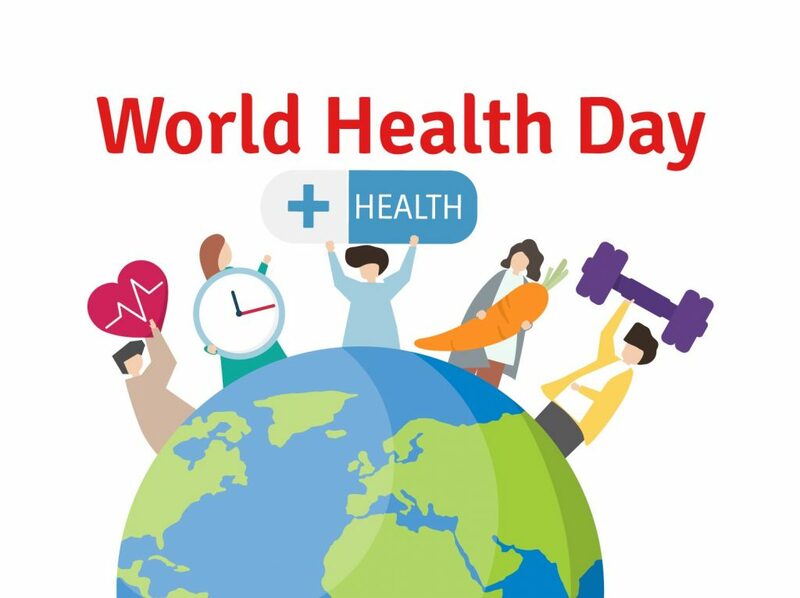 Celebrating World Health Day is a good reminder for us to acknowledge and reflect on our own health. Everyone has a part to play in this campaign. You can contribute by starting to live a healthy life. Will you be willing to contribute more to this World Health Day? Share and inspire more people. Previous PostWhat is TB and how it is treated?